In my last post, I mentioned a new bestiary as a project that I think needs to be a part of what the OSR is doing. It easily cuts across any of the divisions between the various original editions and retro-clones, and removes some of the fatigue that exists with so many of the old monsters. You have to figure that literally millions of goblins and orcs and so forth have met their ends in dungeons and the wilderness around them - and taken the lives of would-be PCs almost without number down with them. So it gets a bit stale to consider populating yet another dungeon with the same monsters that we find in the Monsters & Treasure bestiary. In 2008, Sham's Grog 'n Blog featured a series called "D&D Cover to Cover" that gave a thorough reading of the 1974 Dungeons & Dragons rules. In it, he covered the original Monsters & Treasure volume, beginning with this post. In it, he broke down the monsters into the following categories. Bad Guys: Men, Kobolds, Goblins, Orcs, Hobgoblins, Gnolls, Ogres, Trolls, Giants. Dead Guys: Skeletons, Zombies, Ghouls, Wights, Wraiths, Mummies, Spectres, Vampires. Save or Stoned Guys: Cockatrices, Basilisks, Medusae, Gorgons. Monsters of Myth: Manticoras, Hydras, Chimeras, Wyverns, Dragons, Gargoyles, Lycanthropes, Purple Worms, Sea Monsters, Minotaurs. Fairy Tale Miscellany: Centaurs, Unicorns, Nixies, Pixies, Dryads, Gnomes, Dwarves, Elves, Treants, Pegasi, Hippogriffs, Rocs, Griffons. The Otherworldly: Invisible Stalkers, Elementals, Djinn, Efreet. Icky-Stuff: Ochre Jelly, Black Pudding, Green Slime, Gray Ooze, Yellow Mold. Monsters Mundane: Horses, Mules, Small Insects and Animals, Large Insects and Animals. I think this is a good look at the basic categories that a monster book should cover. 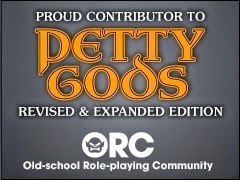 "Bad Guys" is our classic list of meat and potatoes enemies, which looking at bestiaries published since is one of the harder ones to expand upon - consider that all we've seen added to that list of humanoids that has stood the test of time is the bugbear, and some oddball ones like the lizardman. It's a challenge to come up with something for this that isn't just a re-skinned version of what's already there. "Dead Guys" is a little bit more expansive, but these still represent the main mechanics of undead: the level drain, aging, mummy rot and so on. As Sham pointed out way back in the day, "Save or Stoned" is really a part of Monsters of Myth. And the bestiary for OSRIC of that name does include more, but this category really switched to being a wide array of ugly things and not a focused monster grouping. It's also telling because Sham's copy of M&T was from the 6th printing and missed the balrog, whose blatant copy spiritual descendant the balor wound up more in the "otherworldly" category he creates. This catch-all "argh monster" category is perhaps the easiest to expand. The fairy tale monsters are a class that is easy to overlook as monsters. One of my ideas for the dungeon level I've been working on lately includes a rather unique use of gnomes, since I think "non-evil" opponents are under-utilized. I would really like to see some scenarios out there that take advantage of fairy tale creatures which are "different" rather than evil per se. I would say that "The Otherworldly" has been one of the most expansive historically; by Monster Manual II there was a significant catalog of demons, devils, angels, and other creatures from the various planes. It's a rich field and often interwoven with mythology. This sort of monster is evidently the focus, for instance, of the Teratic Tome that I've been made aware of recently by G+, and is a broadly popular opponent for later stages of the game. I like them but I'm not sure that it's ripe for new exploration. The "Icky Stuff," which Sham later recognizes as being labeled the "Clean-Up Crew" (see this post), is another that gets little love. The gelatinous cube got added, but really very little since then; yet this is a rich area that can really make a dungeon dangerous beyond the plain old monsters, and create a very full array of "don't touch" sort of things. One inspired addition is the tunnel prawn, which was featured in Monsters of Myth, and provides a simple and fairly obvious source of nutrition for many of a dungeon's denizens. So for me, a solid new monster tome would try to add a few new entries to the "Bad Guys" without too much duplication. 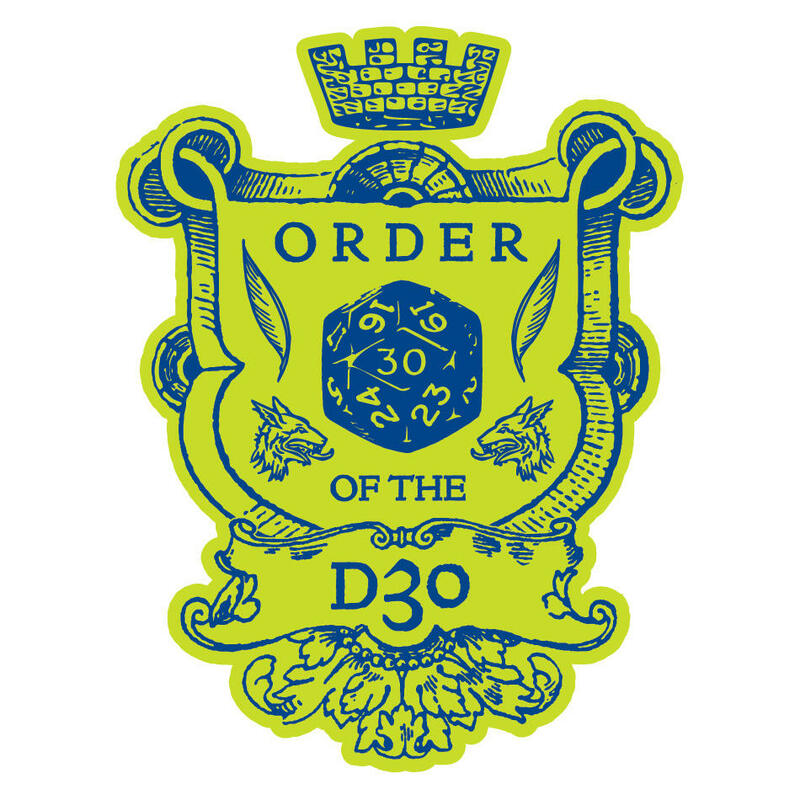 But the focus would be on the Monstrous, the Fairy Tale, the Otherworldly and the Cleanup Crew - possibly even featuring a division into those parts instead of the Monster Manual style of simple alphabetical listing. It always seems to me that just listing things alphabetically is a way to make sure that some inspired bits get missed because you're skimming past the letter "k" or some such. Next post, I'll talk a bit about creating an "inclusive" format for a bestiary. Thanks for the mention! But just to clarify, Teratic Tome's got a bit of everything: variants of orcs and gnolls, a bunch of new undead, some bizarre fairy tale miscellany, gelatinous pyramids and azure slimes, the works. Excellent breakdown of monster types -- a terrific read! Thanks again. Rafael ... your Teratic Tome is taking up the slack as far as the type of creatures are needed besides the rehashed ones that every retro clone has. I am glad I purchased the Teratic Tome - it was what I was looking for! The list of categories entirely ignores the Dungeon Trap Monster: mimic, rot grub, trapper, roper, lurker above, piercer, etc. Another category missing, maybe shared between the monsters of myth and the fairy tales is the Situationally dependent friend or foe races, that is monsters that can behave in different roles according to the campaign situations, without a direct connection to alignment. I normally use hobgoblins, lizardguys, wood elves, catfolk, rock trolls (not traditional D&D trolls), wererats, in that role. 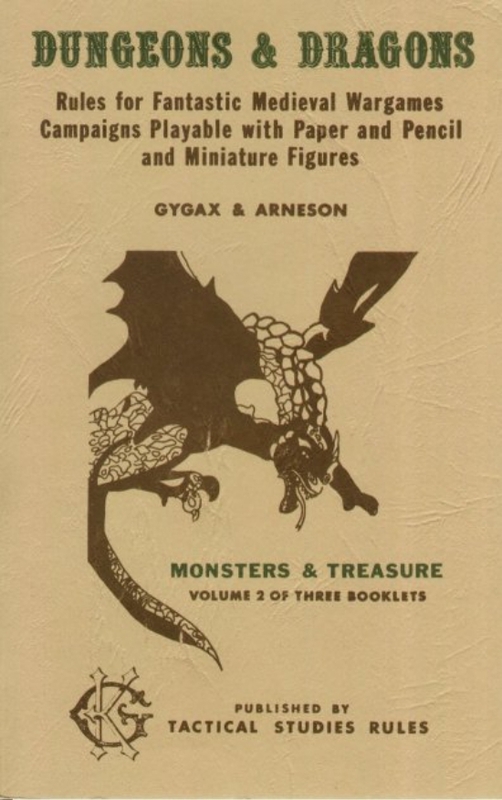 The list of categories is derived from the Monsters & Treasure booklet in the OD&D set. It's interesting as a historical point to note that the dungeon trap monsters were all from either the Strategic Review or the Monster Manual, and none of them appeared in OD&D or any of the supplements. I think they would fit in more of an extension of the "Cleanup Crew" - which is where in the order of monsters listed in Greyhawk, the Carrion Crawler, Gelatinous Cube and Giant Slug are found. I love monsters being used atypically and I think it's a crucial function particularly of the fairy tale monsters, which I think your catfolk and possibly rock trolls might fit under (depending on what you mean by them - are you referring to the trolls from Marvel Comics?). I feel that the Dungeon Trap Monsters are a special category, and would also put the gelatinous cube in that category. To elaborate, I would define the (metagame) DT monster category as the monsters that are designed with the aim of being living traps, in the artificial evironment of a dungeon. It makes sense that they appeared later historically, since they are meant to keep even experienced players on their toes (while you are trying to unlock the chest, it animates and attacks you..), especially in the dungeon as puzzle gaming style. My concept of rock trolls is a mix of the Tunnel and Trolls', Shannara, and mostly Terry Pratchet's stone made trolls. The standard D&D trolls are always a tough fight, but they are too fierce and stupid to fill a different role. I would probably organize something like this by ecological niche or where they fit on the dungeon food chain. I'm not sure ecological niche is a good organizing principle because many people don't bother with that level of detail and also it might not even make sense in a "mythical underworld" type of dungeon. The Adventures Dark and Deep Bestiary is organized by broad categories of where the creatures are found: wilderness/dungeon, ocean/water, prehistoric, and extra-planar. Makes it easier to populate an adventure, since you can more easily zoom in on the creatures that might be found where the adventure is. We've had the Renaissance - What Now?